In many countries there are a lot of simple recipes for leftover bread. One of the sweet variations is French toast (or in Germany “Arme Ritter”), which is bread soaked in milk an egg. In Hungary this dish is typically served as a savory meal under the name “bundás kenyér”, which translates to “a bread with coat”. I’ve been following the blog of the ingenious Dave Arnold for several years now. Back in 2009 he posted a recipe of an egg yolk bread, which I was able to try only now, since I haven’t had a pressure cooker. 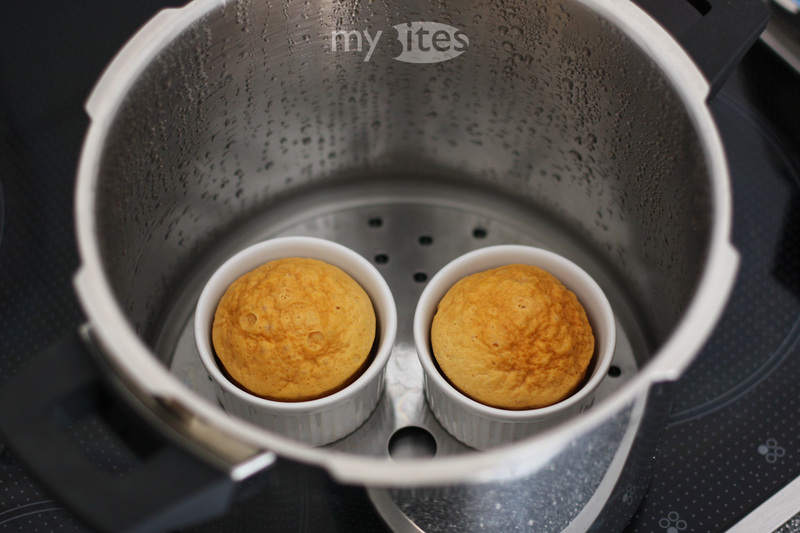 The “bread” consists of egg yolk, salt and baking powder only – so no flour, no yeast, no nuts, no milk. It is great when freshly “baked”, but it really surprised me when toasted in butter. This egg yolk “bread” perfectly resembled both the texture and the flavour of the aforementioned Hungarian leftover meal – although in this case without the “coat”. This entry was posted in Appetizer, Vegetarian and tagged bread, butter, dave arnold, egg, egg bread, egg yolk, gluten-free bread, goat cheese, hemp seed, poppy seed oil, pressure cooker, radish, ramson, spring, vegetarian on April 23, 2013 by Robert. Steak tartare appears quite often on menus in Hungarian restaurants. Usually the beef loin is matured covered in oil and some spices and herbs. This is a necessary step – unfortunately meat is not allowed to be aged long enough because of regulations of the health department. The beef is then minced using a grinder to order and usually served already mixed with spices, onions, garlic, an egg yolk and toast. This is the classic version you get in Hungary, but nowadays more elaborate tartares start to show up. Recently, I had a steak tartare at the Winekitchen, where the beef was finely chopped to order (by hand!) and served with fresh warm bread and mayonnaise made of pumpkin seed oil. 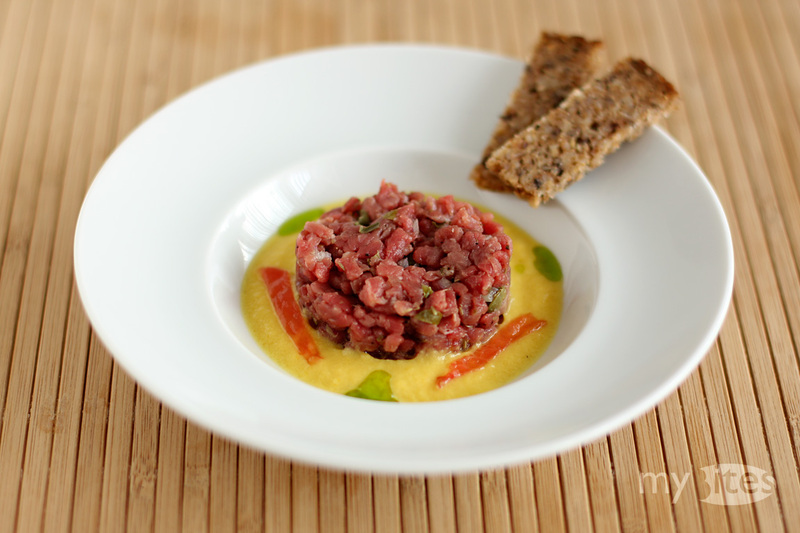 It inspired me to create my own summer version of steak tartare. This entry was posted in Appetizer, Beef and tagged appetizer, beef, beef tartare, bell pepper, bread, capers, dill, dill oil, fillet, linseed, loin, mustard tomato, raw, starter, steak tartare, tartare, tenderloin, tomato on September 1, 2011 by Robert.